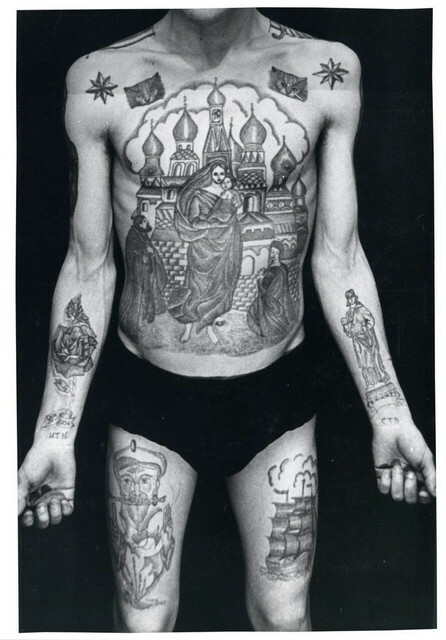 Many people with tattoos say their 'ink' says a lot about what kind of person they are, but Russian criminals like to take this approach to the next level with whole narratives played out across their bodies. 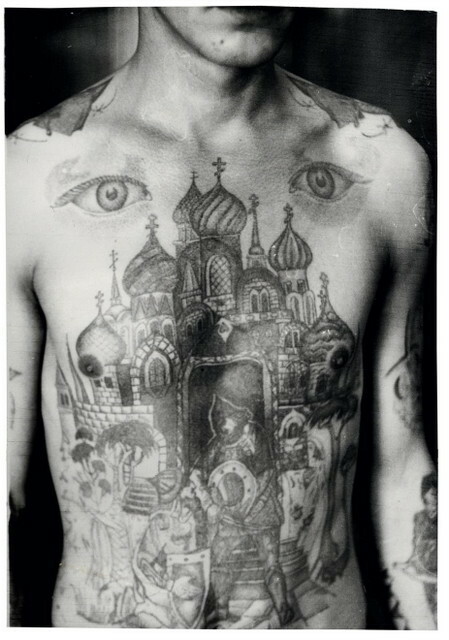 This exhibition of photographs coincides with the release of books on the same subject and offers a fascinating insight into the Russian prison system. 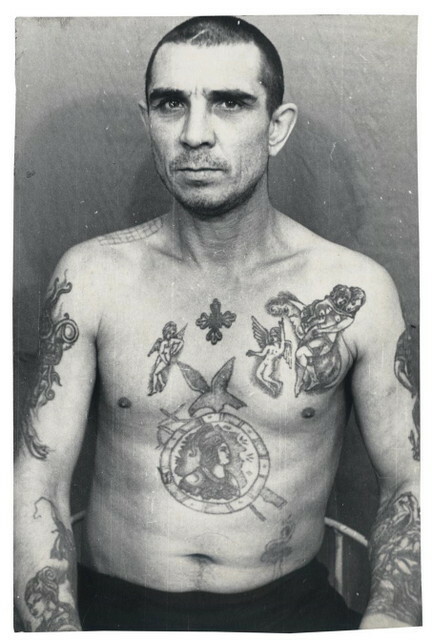 These tattoos can offer a wealth of information including what type of criminal they are, their ranking within the prison fraternity, the number of convictions and even their personal beliefs. 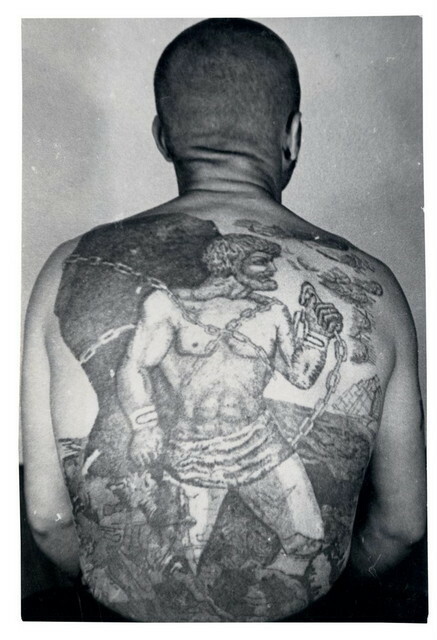 The subjects have gone to extraordinary lengths to tell their life stories across their bodies, while other prisoners try to use tattoos to fake seniority. 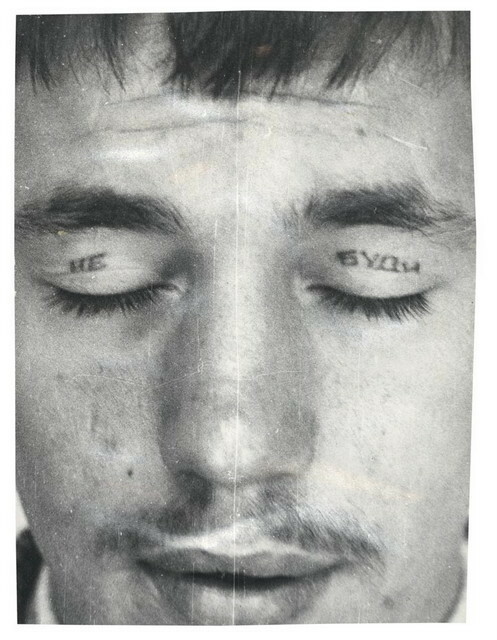 The description of how you tattoo an eyelid is particularly wince-inducing (see image gallery for details). This is another compelling exhibition from a gallery that has changed name and address twice in just over a year, but is still delivering high quality photography shows. 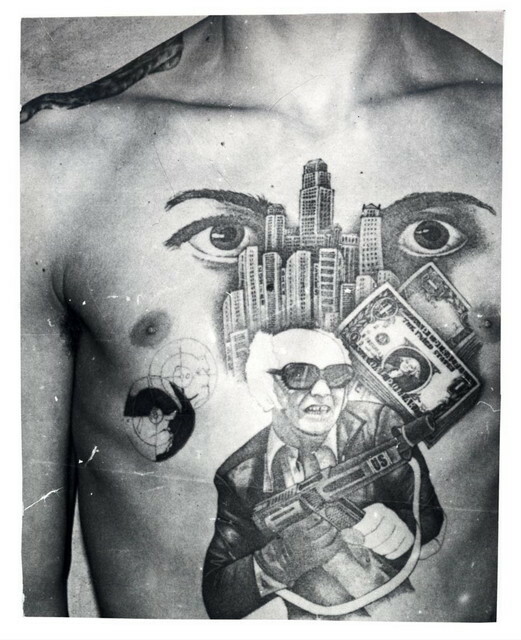 FUEL present: Russian Criminal Tattoo Police Files is on at Grimaldi Gavin, 27 Albermarle St, W1S 4DW until 21 November. Entrance is free.